The side effects of poor dental health have negative consequences beyond an unattractive smile. Fortunately, modern dentistry and many cosmetic dentists provide a vast array of medical and cosmetic solutions to give you a healthy smile that you can be proud of. If you want to see more significant improvement, seek counsel and treatment from your dentist. Dental office teeth whitening procedures produce the fastest results and are the safest form of tooth bleaching.Thicker peroxide gels, potassium nitrate and fluoride desensitizers all help to control gum and tooth sensitivity. If you have naturally discolored teeth, your best alternatives may be bonding resins and tooth veneers. These products can be colored to match surrounding teeth and can correct a variety of dental disorders. If you have had several cavities filled, you may have a mouth full of metal. The drawback to metal fillings is their striking visibility against white enamel. Though rare, gold fillings can cause an electric current known as a Galvanic Shock. Silver (amalgam) filling contains mercury, which presents its own health risk. Even with the greatest personal dental care you may find that your adult teeth are just a little out of place.If you already have relatively straight teeth with minor gapping, bonding could be used to fill in the gapsor realign them. If you have a mouth full of damaged or discolored teeth, porcelain veneers may be your best option. With veneers, the existing tooth is ground down and the veneer becomes the new front exterior shell. Veneers also help with cosmetic restorations for patients with enamel damage from long-term bulimia or methamphetamine usage. 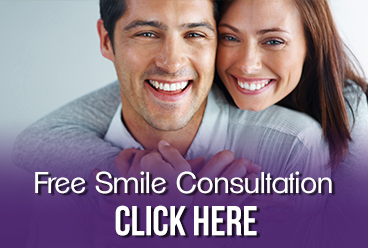 If your teeth are decayed beyond repair or missing entirely, you still have options. Depending on the location and number of teeth lost, missing teeth can be replaced using dental bridges, dental implants, and partial dentures. If your decay advances with gum periodontal disease and becomes beyond repair, dental implants provide an aesthetically pleasing permanent solution. For a less expensive option to replace missing teeth, try dentures. Full or partial dentures have made recent improvements in comfort and appearance. We often do not appreciate what we have until it is gone. Take care of your smile and yourself — have cavities filled, chips repaired, and teeth cleaned. Smiling improves your immune system, reduces blood pressure and conveys feelings of happiness. Remember, the world always looks brighter from behind a smile. For more information on regaining confidence with cosmetic dentistry, contact our Grosse Pointe cosmetic dentists or call us at 313.882.4970.